Medicating sleeplessness has been an ongoing, if inexact, science spanning centuries. Greeks and Romans used valerian and St. John’s wort to fight off insomnia and those herbal remedies are in use still. But modern medicine has seen fit to develop a slew of potent drugs and medications aimed at curing insomnia. Anti-depressants – like amitriptyline and trazodone that do better jobs of inducing sleep. Today’s battery of prescription sleep aids includes among them a few of the most widely prescribed meds for insomnia. Drugs like Ambien, Lunesta, Rozerem, and Restoril all belong either to the family of benzodiazepines or non-benzodiazepines and are useful for short-term durations. These potent medications are often fast-acting, with brief half-lives making them most useful for treating sleep onset insomnia and middle-waking insomnia. They must be used under careful doctor supervision, come with a list of side effects and could become habit forming if used long-term. But most provide exactly the boost most temporary insomnia sufferers need to get their sleep cycle back on the right track. Non-prescription sleep aids like brand-names Unisom and Sominex, as well as a handful of popular antihistamines, like Benadryl and Genahist, feature the active ingredient diphenhydramine an antihistamine that is also found to be a sleep inducing drug. These are convenient and affordable for short-term, transient insomnia. They are relatively easy to use and have fewer side effects than their prescription counterparts. 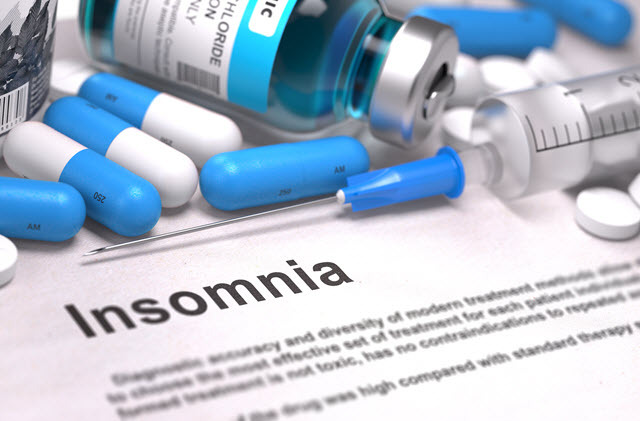 Doctors discovered some time ago that a number of anti-depressants could also make excellent treatments for insomnia. This off-label use is not approved by the FDA, and plenty of sleep specialists and psychiatrists rail against the practice. However, because most of the prescription sleep aids are only approved for short-term use, doctors are quick to defer to drugs like the anti-depressants trazodone and amitriptyline for their long-term applications in insomnia treatment.